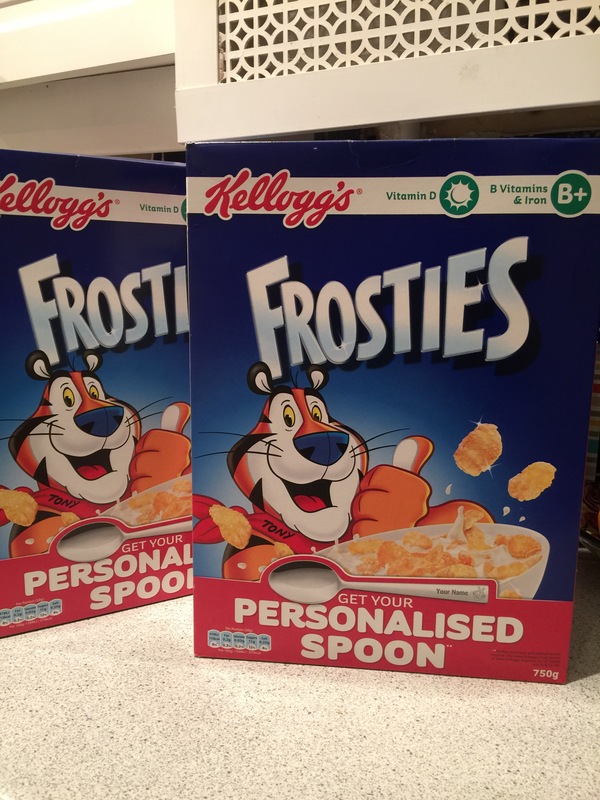 Gates already had one box but needed two more to get Worth his free Frosties spoon. Waitrose had no offer boxes left, so on a mission of love Gates tracked down two more boxes in town. “What a great girl” thought Worth. Ha! Tony, no doubt, thought the exact same thing.